After a very thorough and rigorous evaluation process, we are proud to announce that we’ve completed the annual re-certification requirement for our nonprofit tax service program. We are excited to share with you some of the changes coming to the program in 2019. Since the inception of our organization, we’ve esteemed for our client experience to be as simple and as easy as possible. In 2018, we completed the acquisition of Integrated Tax Solutions, LLC (ITS) to further that end. Prior to the acquisition, ITS was a licensing partner providing critical infrastructure for our tax software and other systems. This addition will allow us to completely streamline our tax service operations across all current and future sites. Our tax service program is dedicated to providing incredible value for the clients who choose to file with us. Increasingly taxpayers are overwhelmed with “new” ways to receive more of their refund faster. These products offered by the major tax preparation companies are understandably a huge draw to the average consumer, but unfortunately, they can be very confusing and sometimes even misleading. In 2019, we have strategically partnered with Wolters Kluwer to provide a suite of ethical settlement solutions for our clients. Wolters Kluwer is a major market leader in the Tax & Accounting industry servicing many large firms throughout the U.S. and we’re excited about the value we will be able to leverage for our clients this tax season. 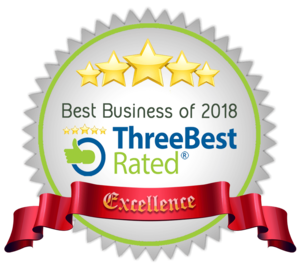 For the second year in a row, Three Best Rated has recognized our flagship location as one of the top tax preparation services in San Antonio, TX. Bandera Tax Services remains the #1 Rated Tax Service going into the 2019 tax season. We are so honored to be recognized because of the hard work and long hours we put in to help improve the financial well-being of our community. Thank you!